Congratulations to Papi for reeling in his sixth Silver Slugger, a very well-deserved award indeed! Pedroia has been named the AL Defensive Player of the Year, and John is up for AL Manager of the Year. Other than that, it’s still really early in the offseason, so we’ll just have to wait and see what happens as things start heating up. In other news, the Pats walked all over the Steelers, 55-31. The Bruins lost to the Stars, 3-2 in a shootout but went on to beat the Panthers, 4-1, and the Leafs, 3-1. 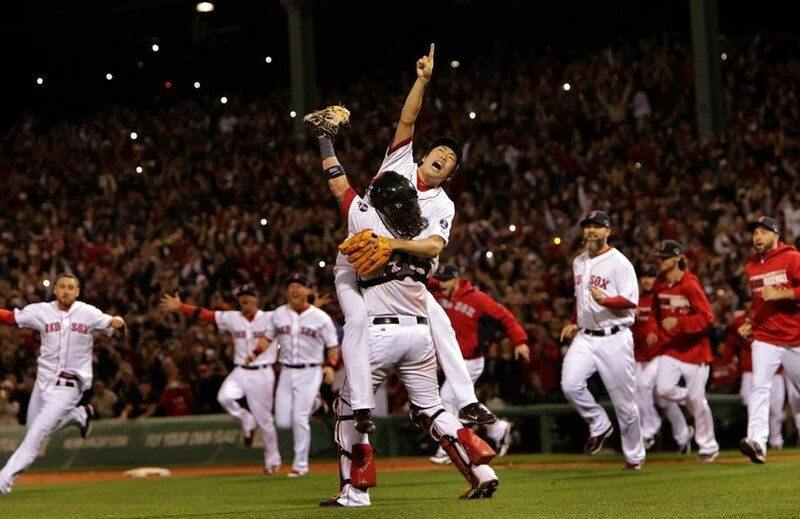 Congratulations to the American League! We have officially secured home field advantage! Now it’s up to us to make sure that we’re the ones taking advantage of it. Ultimately it was a pitcher’s duel, and the AL pitchers were absolutely masterful. They held the fort the whole way through. Pedroia and Papi both went 0 for 2, unfortunately. The final score was three-zip, and it felt pretty good to put the National League in its place. As far as last night is concerned, we did not waste time. Ellsbury smashed the Yanks’ second pitch of the game for a solo shot to right. Napoli led off the second with a walk, and Gomes followed that with a two-run shot toward the Monster. Meanwhile, Doubront went one-two-three until the fourth, when the Yanks first got on the board. He issued a walk that was followed by two steals and then a run thanks to a throwing error by Salty. 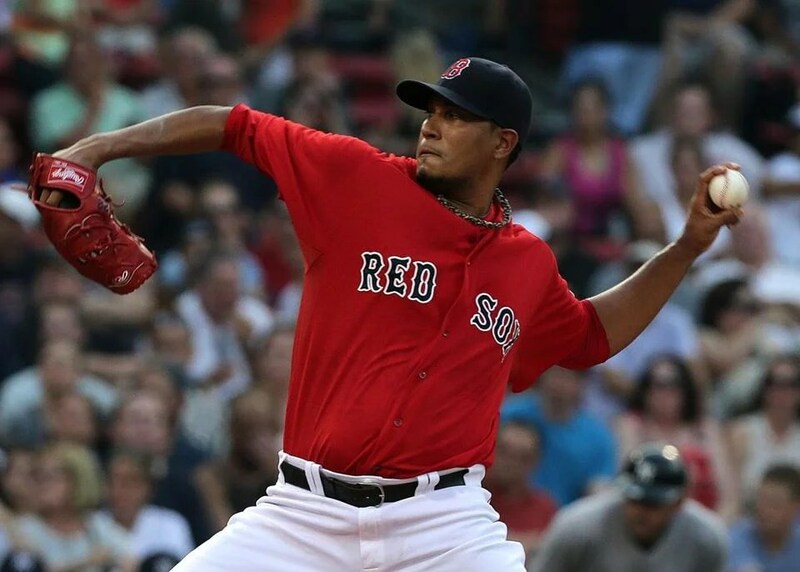 Doubront gave up another run in the fifth thanks to a double-double combination. Doubront was relieved by Tazawa one out into the seventh after what I would call a fantastic start. Those were the only two runs the Yanks scored. We, meanwhile, added some insurance in the seventh. Gomes led it off with a double and then scored on a single by Iglesias. 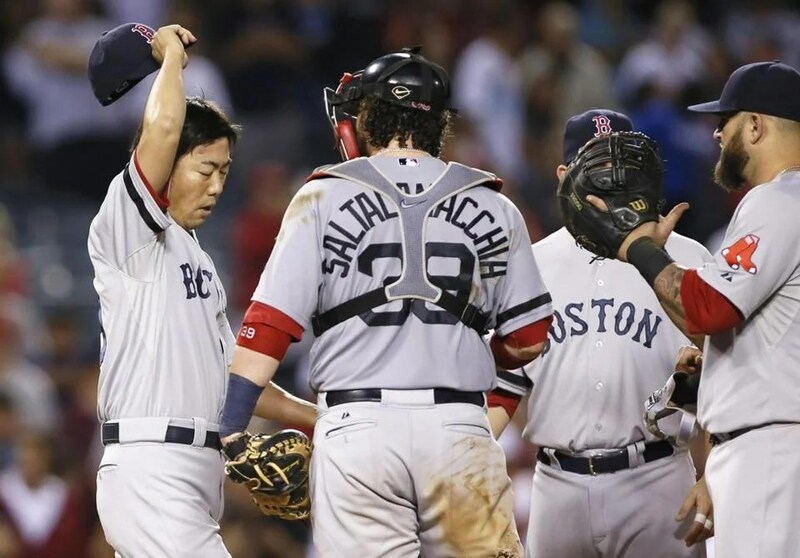 Breslow pitched the eighth, Uehara pitched the ninth, and we won, 4-2! Beating the Yanks is a great way to start the second half. Congratulations to Papi, Pedroia, and Buchholz, who are all going to the All-Star Game! Obviously they’ve earned it. I know they’ll do what they can to help the American League bring it home this year. And I hope that we’ll be the ones reaping the benefits in several months. And I hope that we’ll pitch better than we did last night so we can get there. Specifically, I hope the relief corps doesn’t make a habit of blowing four-run leads. Ellsbury singled on the second pitch of the game and proceeded to lay out a textbook example of what manufacturing a run means. Two outs later, he moved to second on a single by Papi and then stole third, thereby inducing a throwing error that allowed him to score. Jacoby Ellsbury is the quintessential baserunner: smart, adaptive, quick-thinking, attentive, and of course as fast as it gets. Nava singled to lead off the second and scored on a sac fly by Brock Holt. Dempster tied the game at two in the second. He gave up a solo shot to lead it off and then induced a flyout. But then he gave up a single that he turned into a double by making a throwing error, and then let it turn into a run on another single. He gave up another solo shot to lead off the third. But fortunately we had an answer to that. Make that a tying answer, a go-ahead answer, and an answer to spare. Napoli walked to lead off the inning, Nava doubled, and Salty cleared the bases with a double. Holt reached on a fielder’s choice to put runners at the corners, and Salty scored on a single by Iglesias. With one out in the sixth, Ellsbury tripled and scored on a single by Pedroia. And Pedroia led off the eighth with a single and scored on a double by Nava. Heading into the ninth inning, the score was 7-3. Dempster had given up just the three runs and was replaced by Miller a walk and a strikeout into the seventh. Miller gave up a single and was replaced by Bailey, who actually induced a double play and managed to get through the eighth inning without incident. Ironically, the trouble with the relief corps started only after Bailey was taken out. Wilson was put on for the ninth. He got the first out with a strikeout, gave up a single, got the second out with a flyout, gave up another single, and hit a batter to load the bases. Uehara came on, and obviously what we needed in that situation was an out. We would have done well with an out of any kind. The bases were loaded, but there were already two out. All we needed was one more. Eventually, Uehara did strike out a batter to end the inning. But not before he allowed multiple scoring plays. He gave up two consecutive singles that scored a combined total of three runs. Then Snyder made a throwing error on a force attempt, which let the tying run score. So I guess technically if the damage had stopped with those two RBI singles, we still could have won the game within nine innings by one run. We ended up playing eleven and didn’t have much of a fight to show for it. We went down in order in the tenth with three strikeouts and the eleventh with two groundouts and a popout. Breslow pitched a solid tenth, but after securing the first out in the eleventh, he gave up a single followed by a home run. It was the first and last pitch of the at-bat, a bad slider. So after all that baseball, which started late to begin with, the Angels won, 9-7. After our spectacular slugging performance on Tuesday, I was very glad to see that we had some runs left in store. It certainly was an adjustment to go from seeing runs being scored with remarkable frequency and then see barely any runs score at all. But quality always trumps quantity, meaning that if you play quality baseball, you should be able to win with any run total greater than zero. Taking a hint from Buchholz, the American League’s Pitcher of the Month, Dempster turned in a fabulous start. Six innings seems to be about his usual, I guess. Still, he gave up only one run on four hits while walking four and striking out three. He threw exactly one hundred pitches. His third pitch of the game was hit for a solo shot; that was essentially his only mistake. Miller and Tazawa pitched the seventh, but barely. Miller gave up a single, bestowing a runner upon Tazawa. Tazawa gave up two walks, loading the bases with only one out. Thankfully, the inning ended with a strikeout. Uehara pitched the eighth, and Hanrahan actually succeeded in converting the save in the ninth. It was nice to see him actually doing his job correctly. It was a pretty quiet game all around, I’d say. The Jays were held to one run, and we were held to three. We went down in order in the first but got on the board in the second. Napoli doubled and scored on a single by Carp. That double was Napoli’s twenty-second extra-base hit this year, a number that leads the Majors. Middlebrooks had walked, and he scored on a sac fly by Drew. We had great scoring opportunities in the third, fourth, and fifth, but we didn’t take advantage of them. It’s worth mentioning that we walked four times in the fourth, but the Jays were saved embarrassment thanks to a double play and a groundout. We scored the game’s final run in the sixth; Ross walked, moved to second on a wild pitch, and scored on a single by Ellsbury. Every game can’t be a slugfest. Between yesterday and Tuesday, we showed that we can win with any lead, both big and small. That skills is going to come in very handy.